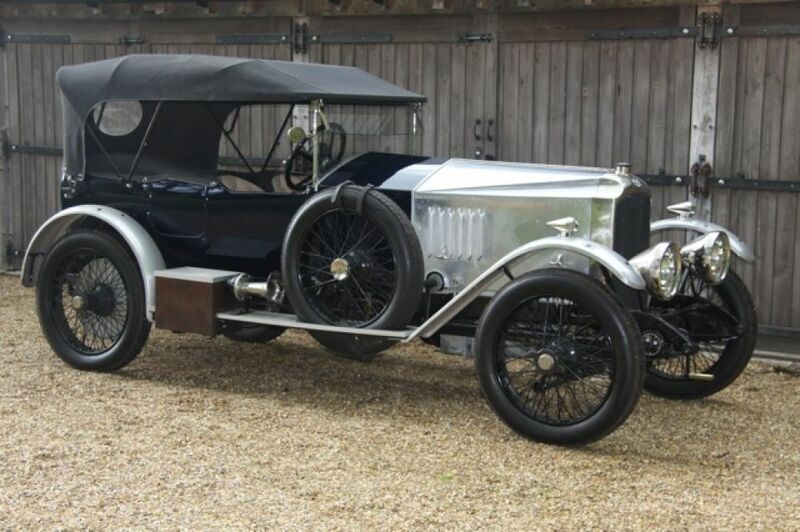 The early post first World War 30-98 bodies are arguably the prettiest and most appealing of all 30/98s, with the side valve E-type engine, the car sitting on beaded edge wheels & tyres. 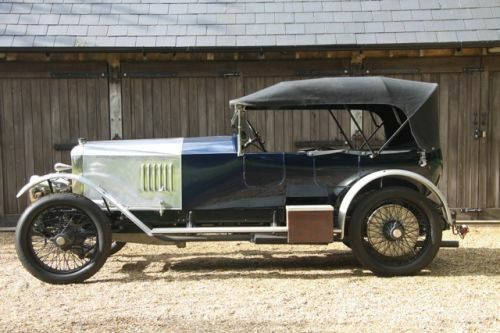 The 30-98 was also one of the quickest cars of its era, with excellent handling qualities, guaranteed to achieve 100mph in stripped form. No expense spared on this car by the present owner - carried out by respected Vauxhall restorers Alistair Templeton and Julian Ghosh. Swansea V5 & later V5C DVLA registration issued in May 2000. VSCC approved & eligible to all VSCC events, from sprints to hill climbs to races, rallies and trials. Top quality leather upholstery by James Pearce, including carpets and full weather equipment, full and half tonneau plus zipped passenger section for solo driving, and new hood and hood bag. 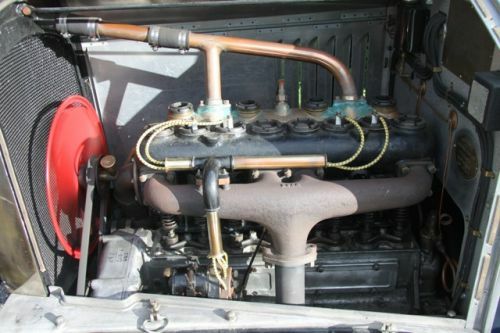 Engine rebuilt by the established Vauxhall engine builder Phil Hill who has rebuilt over 50 vintage Vauxhall engines. 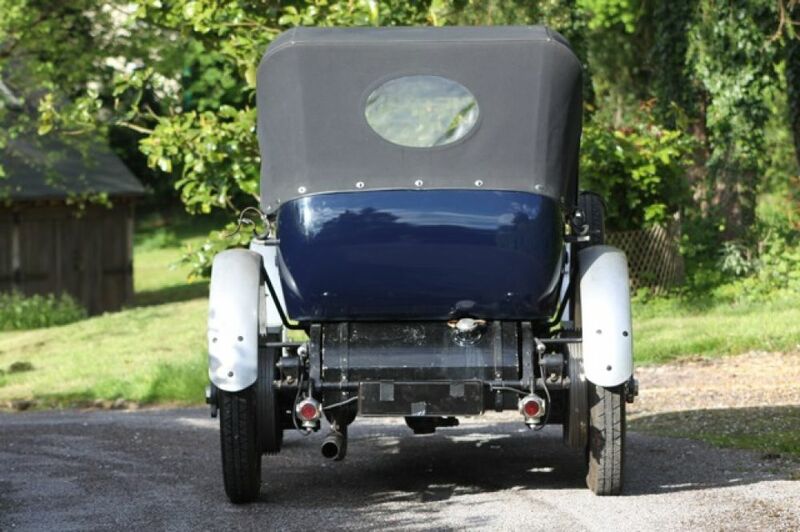 Please view three video links below showing the car running. 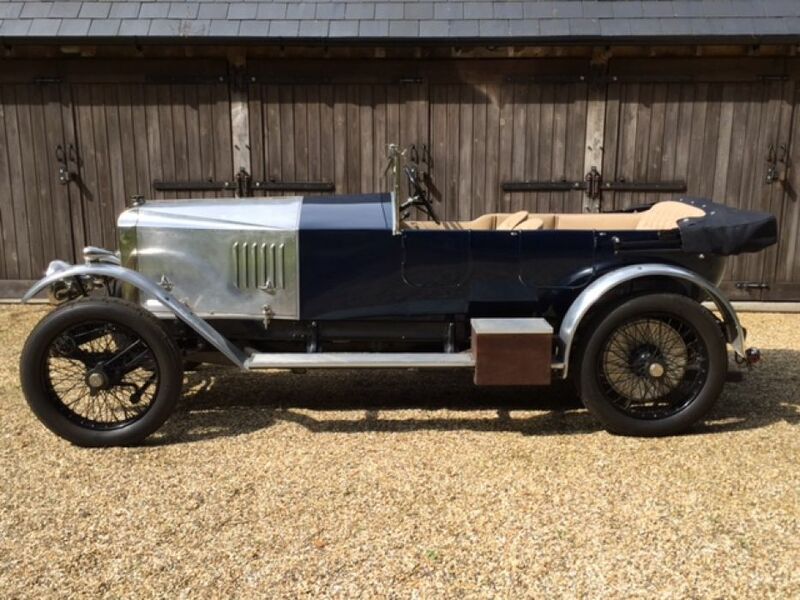 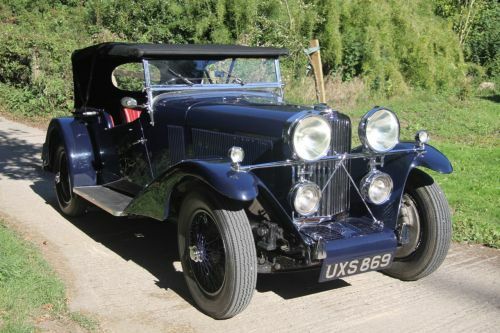 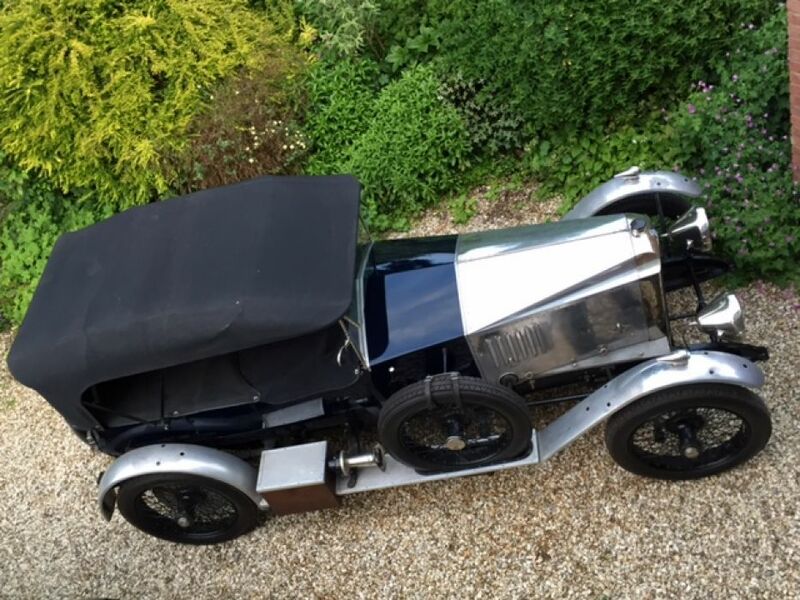 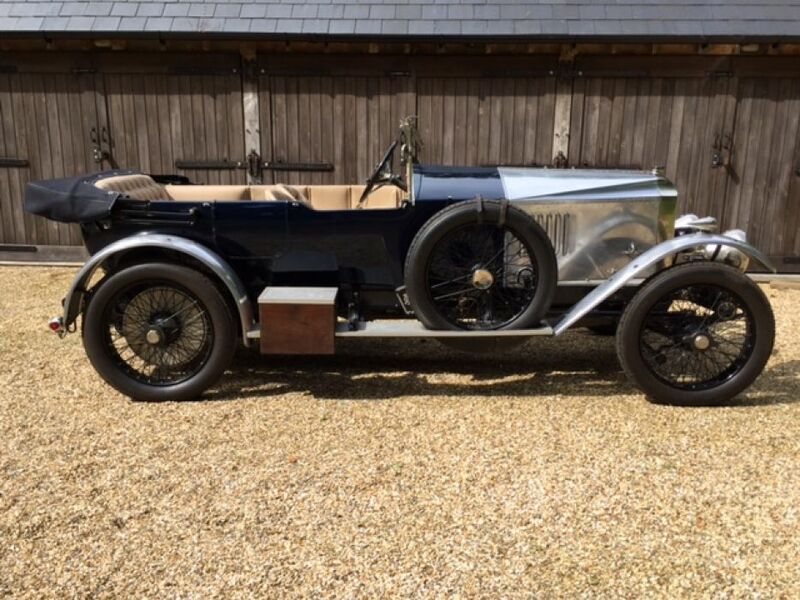 A fast & powerful restored vintage car, with delightful steering on the correct 820x120 beaded edge wheels and tyres - the tyres being barely used. 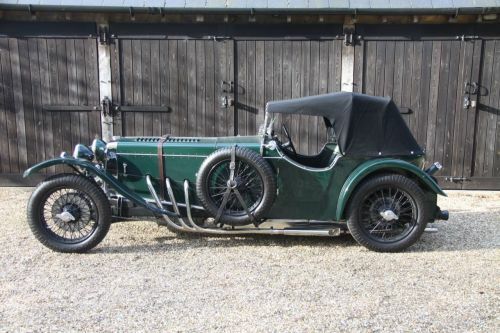 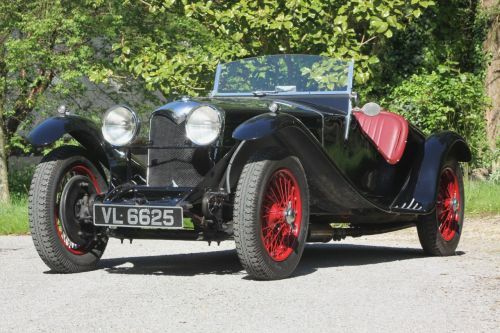 30-98s were the fastest British car you could buy immediately after the Great War. 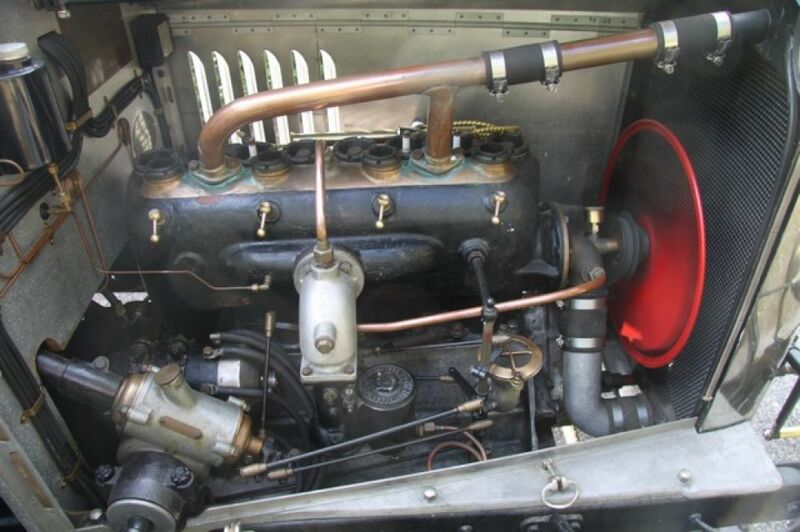 At the suggestion of the racing driver Joseph Higginson, the famous Vauxhall designer Laurence Pomeroy developed a larger engine to be installed in a light chassis based on the A-Type. 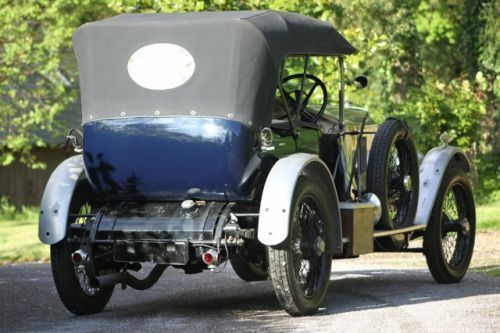 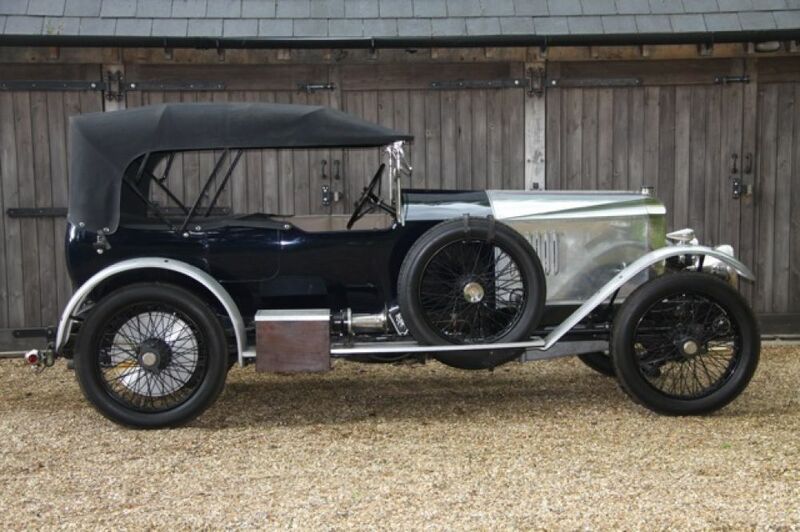 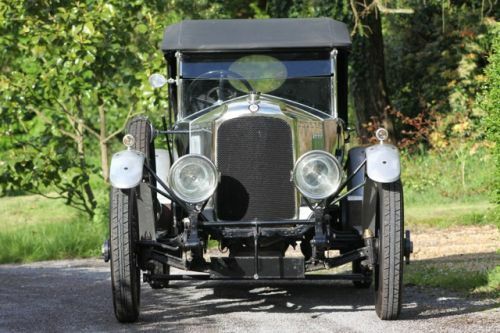 Introduced initially in 98 X 150mm 4 1/2-litre fixed head 90bhp side valve form, the new 30/98 borrowed many features from the landmark Prince Henry model, with some thirteen examples produced by the outbreak of war in 1914, although none of these cars were on general sale or believed to exist today. 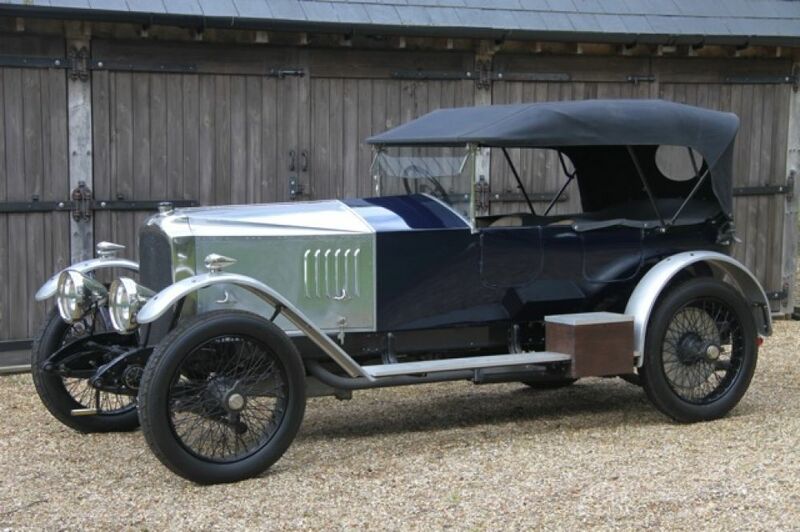 Fairly described as a gentleman's fast touring car, the 30/98, so named probably because it produced 30bhp at 1000rpm and a theoretical 98bhp at 3000rpm, quickly made its mark in competition in the quintessentially 1920s pastime of speed hill-climbs and sprints. Featuring a large slow-revving long-stroke engine combined with a high 3.08:1 axle ratio, a fairly effortless 80mph was on tap in its early and shorter 9' 7" chassis form. With the option of a standard 4-seat Velox body, the car was also available in 2-seater form. Equipped with rod operated two-wheel braking, right hand gearchange, multi-plate clutch, four speed gearbox, transmission brake, straight bevel axle and semi-elliptic suspension, the model indeed had phenomenal performance for the day, albeit it fell a little short in the braking department in standard form, this car having larger 16" Alfin-type brake drums. 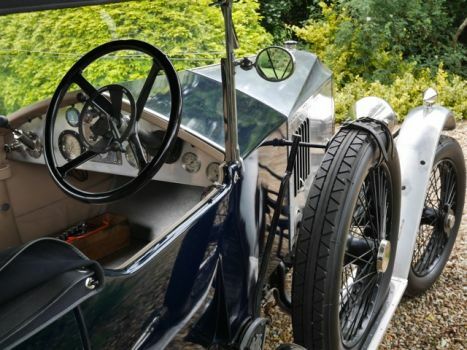 30-98 history - Regarded as the king of all sporting vintage cars, the E-type and OE-type Vauxhall 30/98 still have the aspirational calling today that first started in 1913 when the prototype car appeared. 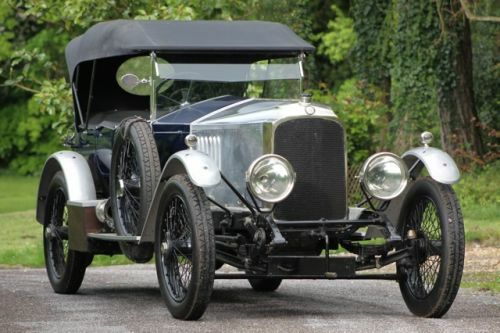 It was the racing driver Joseph Higginson who commissioned the famous Vauxhall designer Laurence Pomeroy to develop a car to be competitive in hill climb events, which he did by producing a car that scored an immediate success in that first year. Upon outbreak of the Great War production was restricted to War Office requirements for the 25hp D-type, of which a sizeable 4,500 or so were produced, some 1,556 as wartime staff cars. 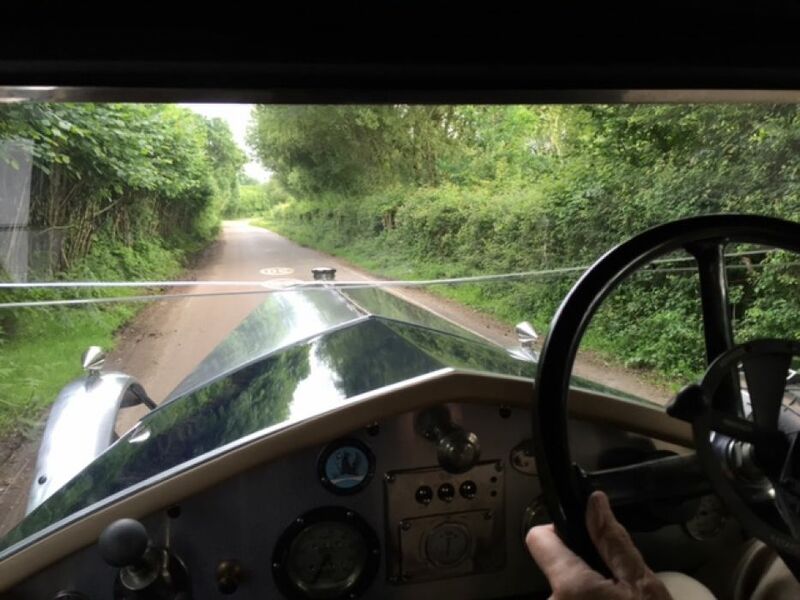 Although weighing over a ton and a half, the D-type had light controls and was good for 60mph.